Please refer to our color chart for the backing layer paper (this is the paper that will go under the printed part of the tag). 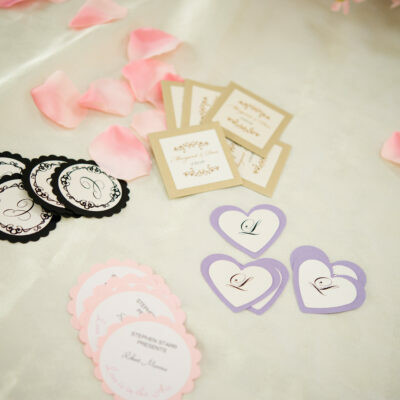 Custom tags for your favors, invitations, candy bar displays, cupcake toppers, and much more! 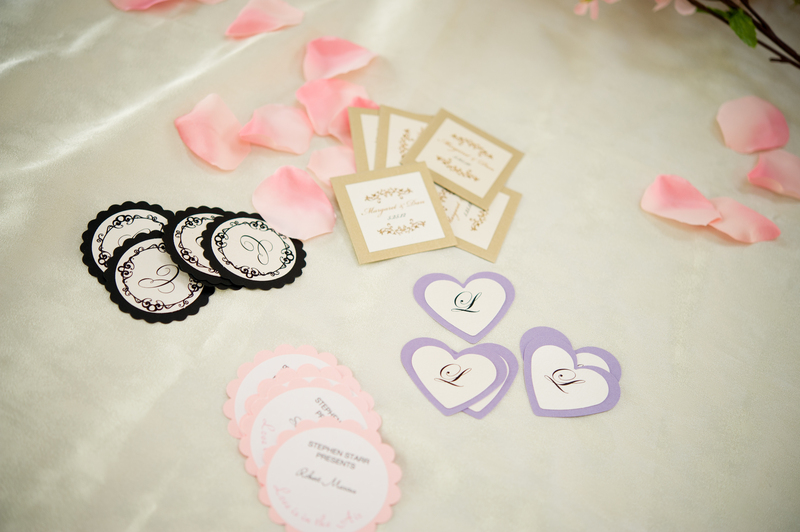 Choose from square, heart shaped, or round scalloped edge.